OLD PARKED CARS. 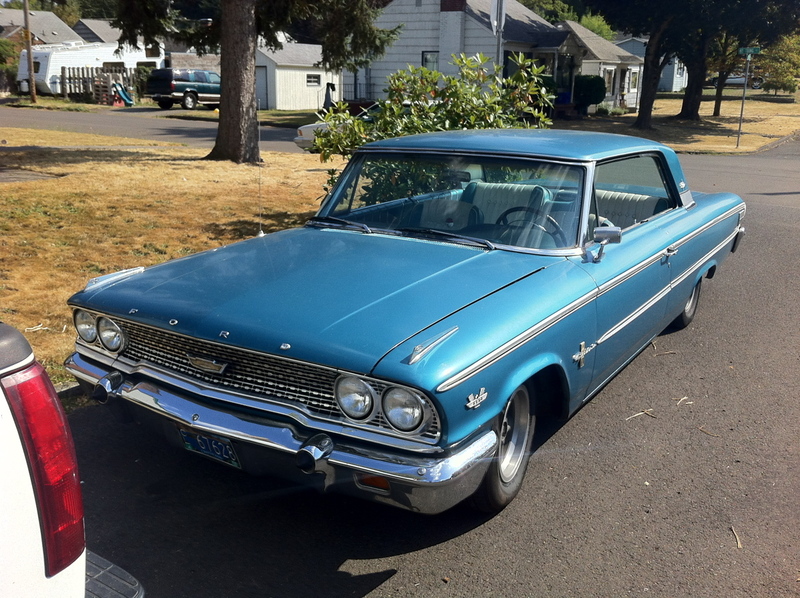 : 1963 Ford Galaxie 500XL. Inspiring to see a hardtop being fully embraced. Never roll those windows up. 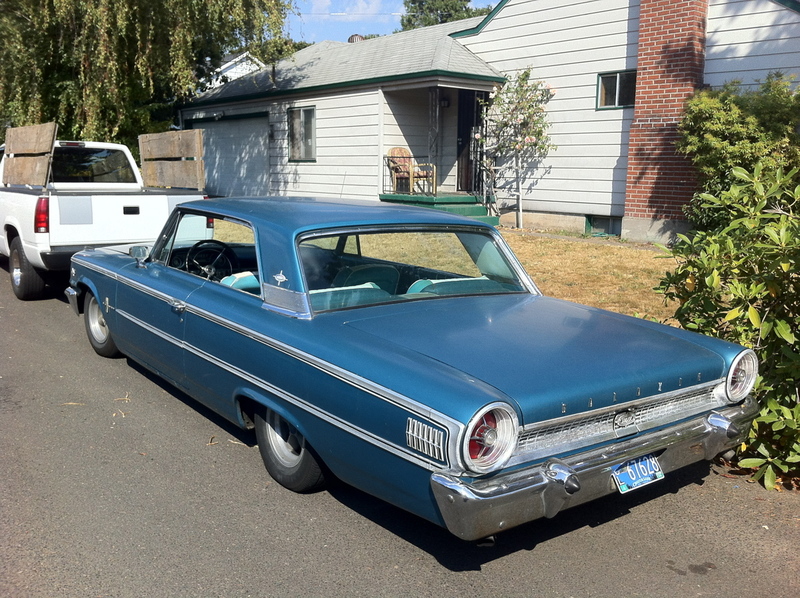 Nice to see a Galaxie with the "Thunderbird" top, instead of the fastback top. I enjoy both, but see far fewer of the T-bird topped Galaxies. i'm wondering what that badge forward of the wheel says - 390 or 427? the hood - trunk relation is so soothing. I absolutly love these thunderbolt era fords. the color bathed in sunlight is soothing also. I never noticed how long that rear end is, you could open the trunk and have a party in the back. I've seen this car around town and it really looks good going down the road! 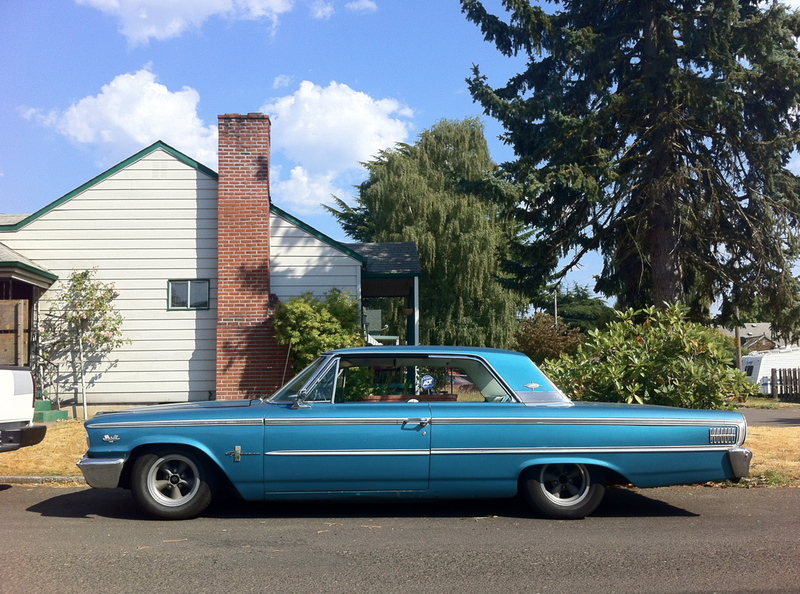 Oh man, that Galaxie looks MEAN. Low 'n slow.....at low RPMs that is. Seen a car just like this on the cable show "counting cars" too much money invested and the car I do believed was price too much. Any seen it?